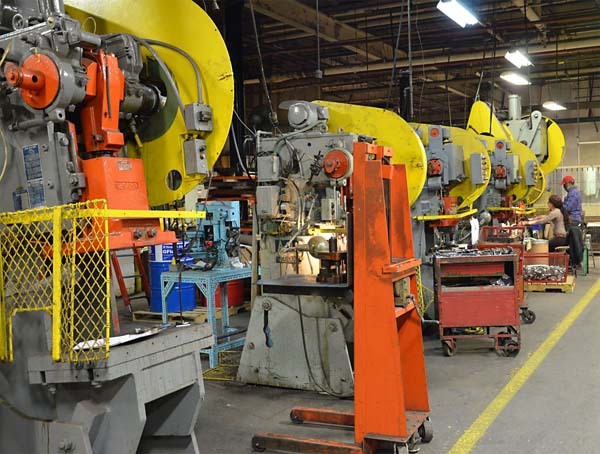 When OEMs outsource component parts manufacturing, the type of fabrication, stamping, or machining technique utilized is often a major factor in the final, per-piece cost. However, the initial volumes required may also dictate the metalworking technique or process selected, particularly for new products just beginning to find a market. 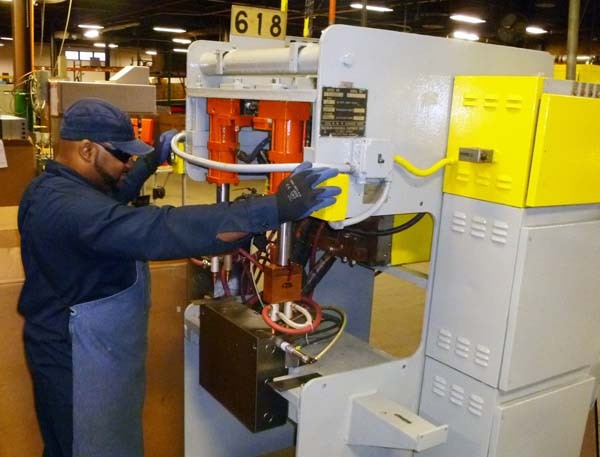 While certain complex metal parts can only be machined, thinner gauge parts and enclosures are typically stamped using hard tooling or fabricated using lasers, turret presses, or press brakes. For start-ups or smaller companies with more modest production requirements, however, avoiding the high, upfront costs of hard tooling can be appealing. As a result, fabrication alternatives that do not require that investment–even if the cost per piece is higher–are the better initial choice. This is where more sophisticated "one-stop" metal parts manufacturers can deliver a significant advantage. By offering the full gamut of sheet metal fabrication, stamping, and machining options under one roof, these larger operations are in a much better position to scale with the customer as demand increases. "With a sheet metal part that costs $10, it may cost $6 for stamping, but the OEM may have to spend $30,000-$40,000 in tooling. So for that $4 saving, they need to make sure they have 10-20,000 pieces so they can pay off the tooling quickly," said Denholtz. 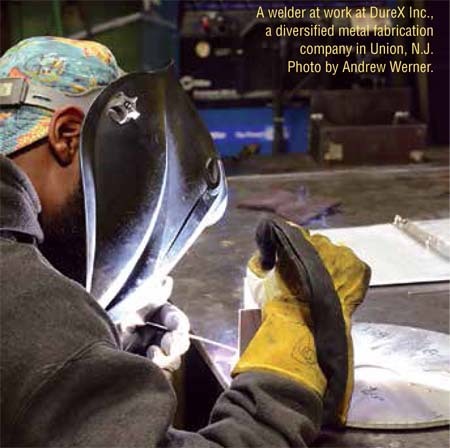 Founded in 1946, DureX, Inc. (www.Durexinc.com) operates a 120,000-square-foot facility that provides metal stamping, sheet metal fabrication, and CNC machining. The company has more than 50 presses with capacity up to 400 tons, along with laser cutting equipment and turret presses–in addition to value-added services, such as powder coating, assembly, packaging, and fulfillment. DureX offers multi-head spot welding and assembly capabilities, including motion systems and electro-mechanical assemblies, outside the traditional realm of sheet metal fabricators. Photo courtesy of DureX Inc. According to Denholtz, a one-stop-shop can work with a customer by offering a full progression of options based on what he calls "the ROI threshold." In one real-world example, Denholtz said that a customer was spending $18 for a power supply chassis with a $4 cover. As volume requirements increased, DureX suggested it was time to move to hard tooling. This reduced the overall cost from $22 to $14. "The customer is saving $8 a unit, and now they are up to over 3,000 units a month," explained Denholtz. "The tooling cost $80,000, so at $24,000 in savings each month, it took 3.5 months to get the money back." Had it not been cost-effective to use hard tooling for the box, it may have been for the cover because it is a cheaper tool. In that case, the customer could continue to receive a set of parts from the same supplier. A hybrid approach can even be used. "I may fabricate a part on our turret press or use laser cutting and then use a hard tool to form it into a box," said Denholtz. "I've worked with many sheet metal fabricators over the years, and they are often silent," said Milazzo. "They just keep moving forward without stopping to say, 'Listen, if you do this, you can save yourself 12 passes,' or 'The weight of he sheet metal is too heavy; if you use a lower gauge, you can reduce your costs.'" At its 120,000-square-foot facility, DureX has more than 50 stamping presses with capacity up to 400 tons. Photo courtesy of DureX Inc.
Simon-Aire Inc. manufactures Packaged Terminal Air Conditioners, a type of self-contained HVAC system commonly found in hotels, senior housing facilities, hospitals, dormitories, and apartment buildings. The company also offers parts and accessories, including replacement chassis, hydronic heat assemblies, louvers, wall sleeves, room enclosures, and control components. "I'll get a phone call saying 'Have you thought about this?' said Milazzo. "That's a good phone call to get. They don't bill me for that–it doesn't make them more money–it's just part of the relationship." "They are not just trying to get more money from me. They are trying to save us money while improving the product to keep us alive another day," said Milazzo. "I basically get to pick their brains on every little 'what if' that I've been considering," said Milazzo. "They are able to pull from their experience with the customer that makes rifle components and the one that makes a hot dog cooker or a sign for Dunkin Donuts. They pull all that together and at the end of it comes a technology that I can use in my air conditioning business." "Many of our sheet metal components are basically like a box, so they take up a lot of dead air space," explained Milazzo. "If you have hundreds of them, you're paying a lot of money to store them." Durex developed a "knockdown" box that could be stored flat until final finishing and assembly. This would allow 50 or 60 components to be stored in the same space that normally fit about 12. "That is going to make a big difference, because that saves a lot of space, which, in a warehouse, translates into money," said Milazzo, adding that it also provides him with a competitive edge over his much larger competitors. Milazzo said it's extremely important to have a good, collaborative relationship with the metal parts supplier. This includes working from the prototype phase through product development. "It's very integral the way that I work with them to design each and every component that they do make," said Milazzo. "It's a very good cooperation that exists between our company, our engineering, our research and development, and their in house engineers." "By dealing with one vendor instead of many, that means one purchase order, one visit to the vendor, one quality survey, one check to write," said Denholtz. Jeff Elliott is a Torrance, Calif.-based technical writer.